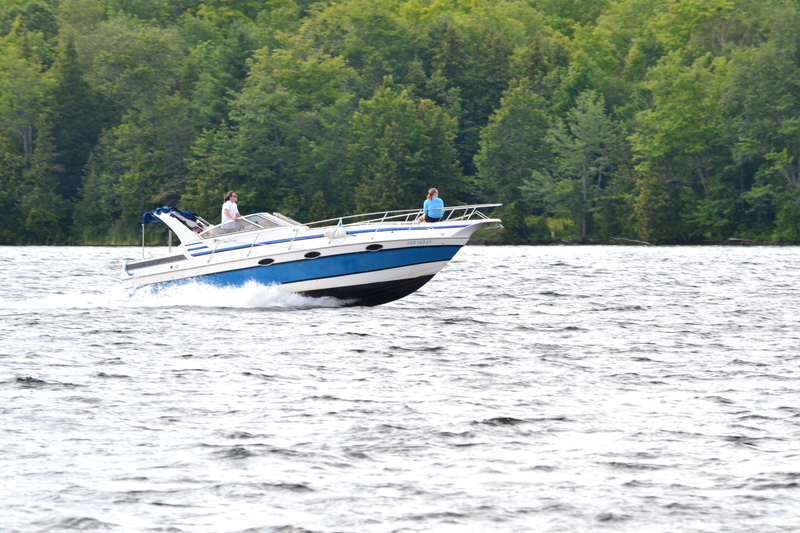 The lakes north of Toronto are home to a panoply of wild boats. This handy field guide will help identify a few of the more common species. Kayaks and canoes often travel in pairs, or sometimes flocks. 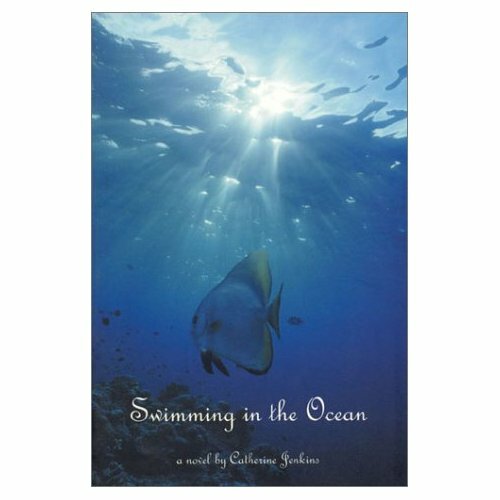 They tend to stay near shore, preferring calm waters, and are most commonly sighted mornings and evenings. 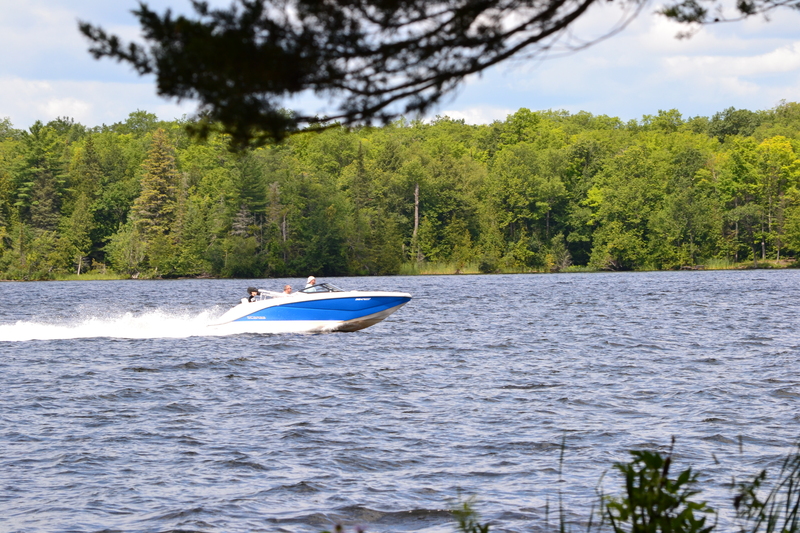 These quiet boats can seemingly appear out of nowhere; however, when occupied by youthful campers, can be readily heard across the lake. It is heartening to see that their numbers have noticeably increased in the last few years. Their unmotorized cousins, rowboats and sailboats, continue to be rare on these lakes. Fishing boats also tend to stay inshore, believing that this is their prey’s preferred habitat. 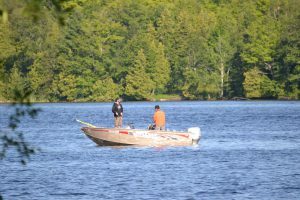 Unlike kayaks and canoes, fishing boats usually travel alone; however, like their cousins, they are also more commonly sighted in the mornings and evenings. Their occupants have a propensity for standing, often talking loudly, and are prone to alcoholic-induced behaviour. Because of their fondness for the shallows, they are frequently snagged on rocks, sometimes emitting loud swearing when this happens. 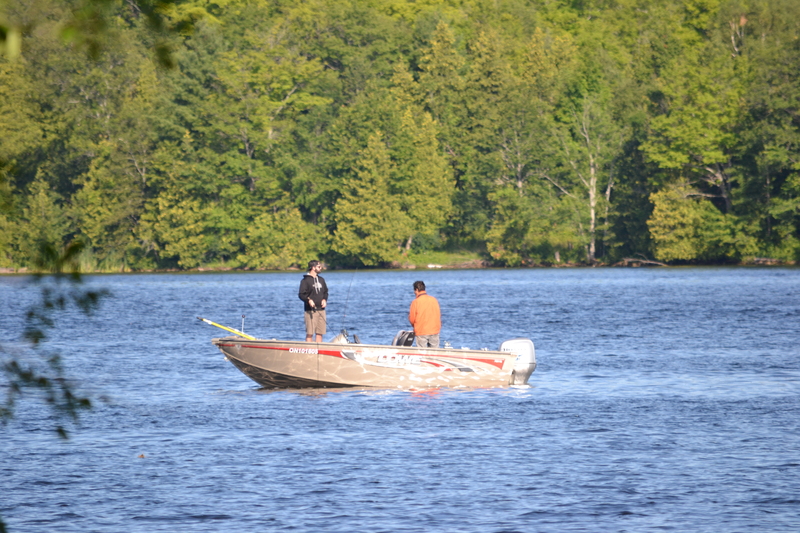 Fish are wary of these boats, having witnessed or experienced release back into the water via a long overhand lob. Jets skis are increasingly common, usually travelling at speed, in pairs or sometimes threes. Although designed for a single rider, they can be observed with as many as three. 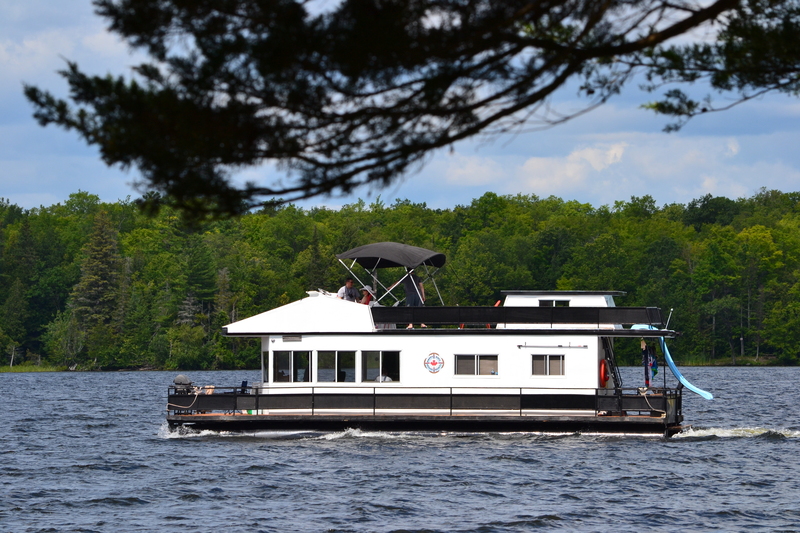 As with houseboats, they are most frequently observed on weekends. These gregarious vehicles are noisy, and like showing off. Occasionally, one will stall in the middle of the lake, while another circles around, seemingly teasing or anxious. Rarely, two will stop for a conversation before speeding off again. 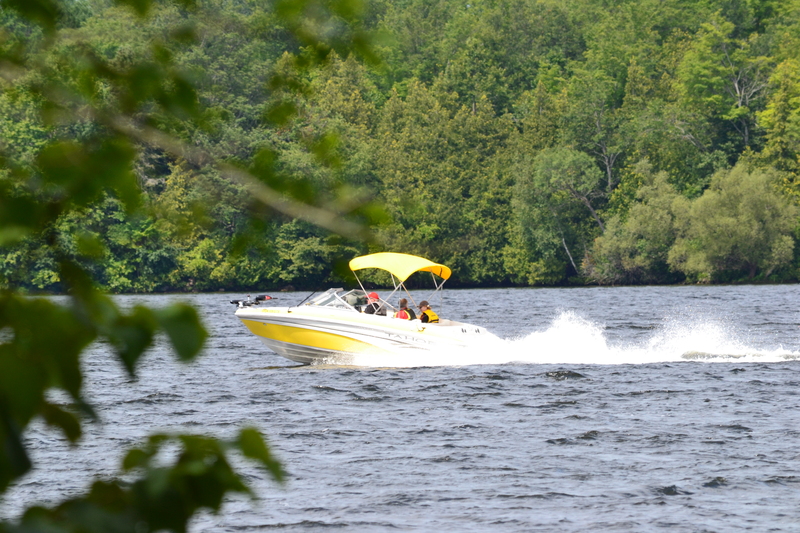 Another common weekend species is the jet boat. These excessively loud boats are recognizable by the high plume of water extending from their rear. 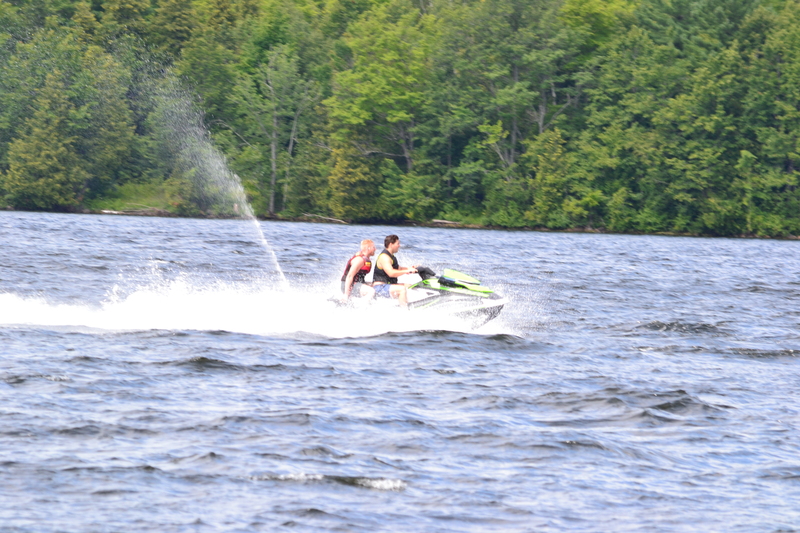 Although jet skis share this behaviour, because of their heavier, more powerful motors, jet boat rooster tails are taller. 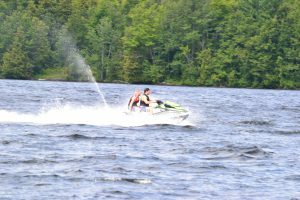 They move at uncommonly fast speeds, and while sometimes seen solo, jet boats often race in pairs, or with a jet ski companion. These are competitive boats, that clearly enjoy showing off. 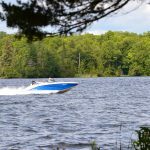 Common for decades on these lakes, motorboats, with either inboard or outboard motors, ply the waters, usually at moderate speed and volume. They come in a variety of shapes and sizes, and can be seen at any time of day. 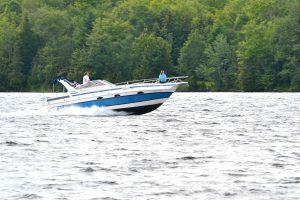 In comparison to some other motorized boats, like jet skis and jet boats, these boats are sturdier, take more passengers, and are usually quieter. In the past, these boats sometimes towed water-skiers; however, now they more commonly tow inflatables, frequently filled with screeching children. Finally, spacious cabin cruisers are also increasing in number. The presence of these boats is another clear indication of the increasing affluence of weekend boaters, as they can take multiple passengers in comfort, allowing for sunbathing on the deck, and sleeping or other activities in the berths below-deck. They include cooking facilities, enabling occupants to eat while drinking, usually reducing their raucousness. Because of their self-contained luxury, cabin cruisers can travel greater distances than many other species, lending their stately appearance to numerous lakes on a given weekend. 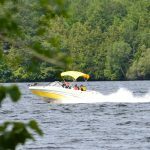 This entry was posted in cottage, journal, Social Commentary and tagged boats, Kawarthas, lakes on August 29, 2017 by admincj.